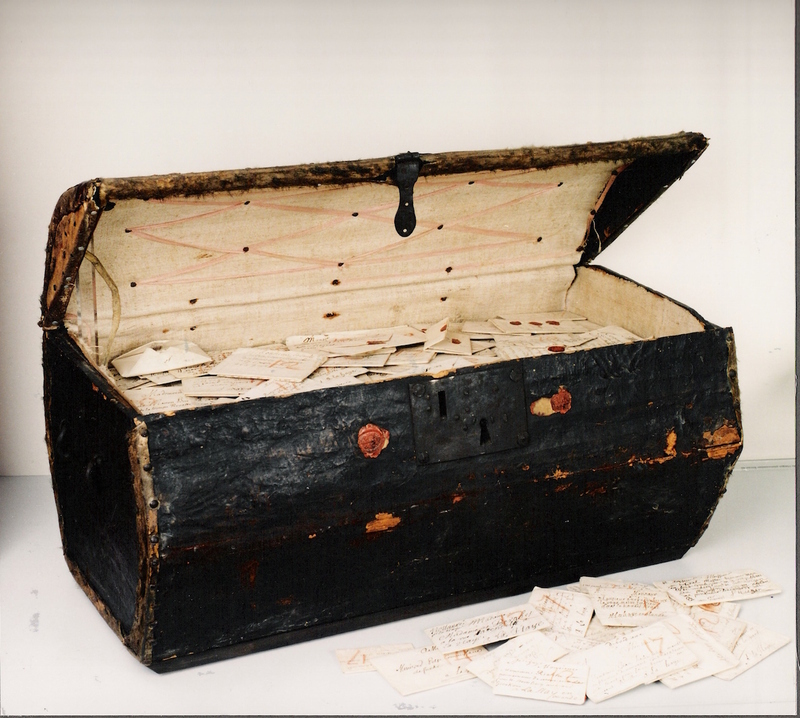 Over 3,000 undelivered letters in six different languages are preserved in a postmaster’s trunk in The Hague, with hundreds unopened since the 17th century. Now an international team of researchers is examining each piece of correspondence in a project called Signed, Sealed, & Undelivered. 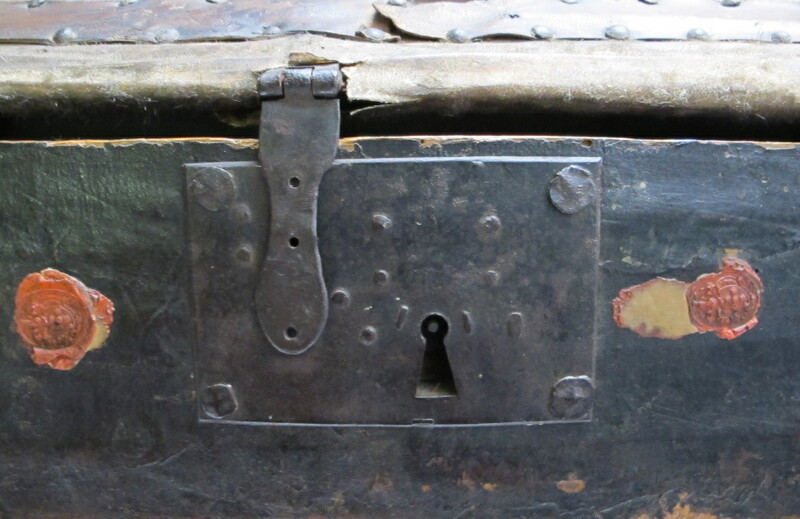 Back in 2012, Rebekah Ahrendt, an assistant professor in Yale University’s Department of Music, came across a mention of a trunk that arrived in 1926 at the Museum voor Communicatie in The Hague, Netherlands. The trunk’s contents were never thoroughly examined. 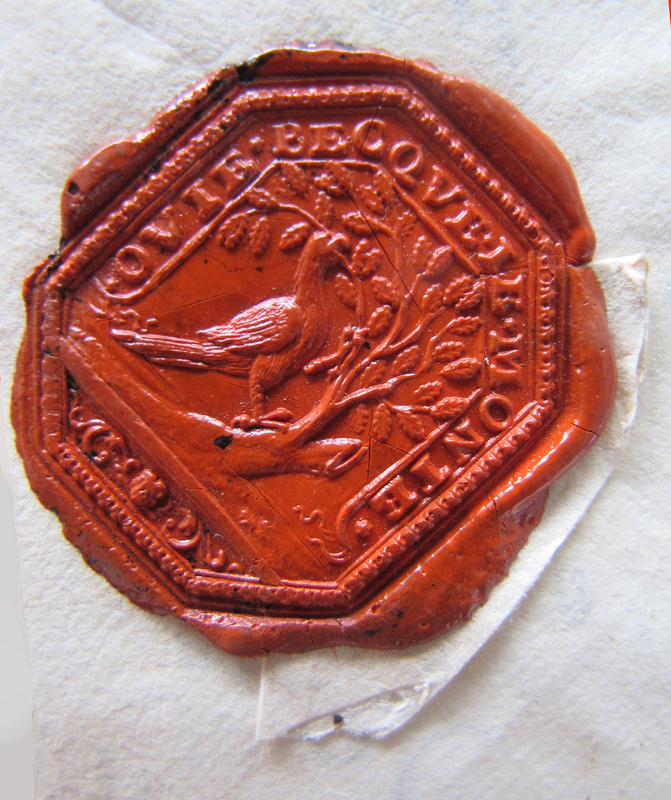 It turned out to be formerly in the possession of Simon de Brienne, a Frenchman who was an active postmaster in The Hague, which positioned him at the center of 17th-century communication in Europe. 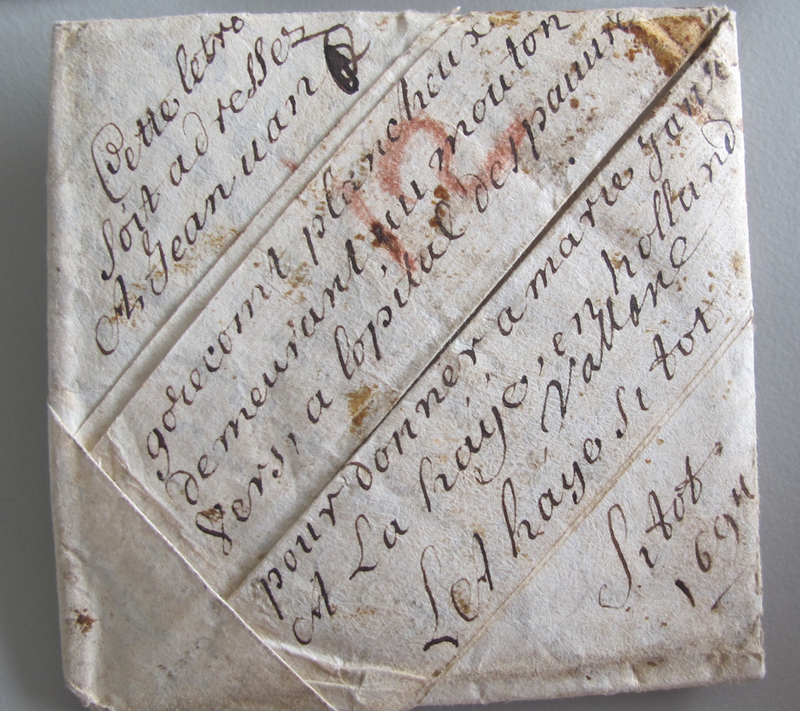 The letters were sent between 1689 and 1707 from across the continent, sealed with wax in red, green, amber, and white, and folded in elaborate formations for privacy. The writing within ranged from economic matters, to matters of the heart. Ahrendt is joined on the Signed, Sealed, & Undelivered team by David van der Linden at the University of Groningen; Nadine Akkerman at Leiden University; Daniel Starza Smith at Lincoln College, Oxford University; Jana Dambrogio, a conservator at MIT Libraries; and Koos Havelaar, curator for postal history at the Museum voor Communicatie. 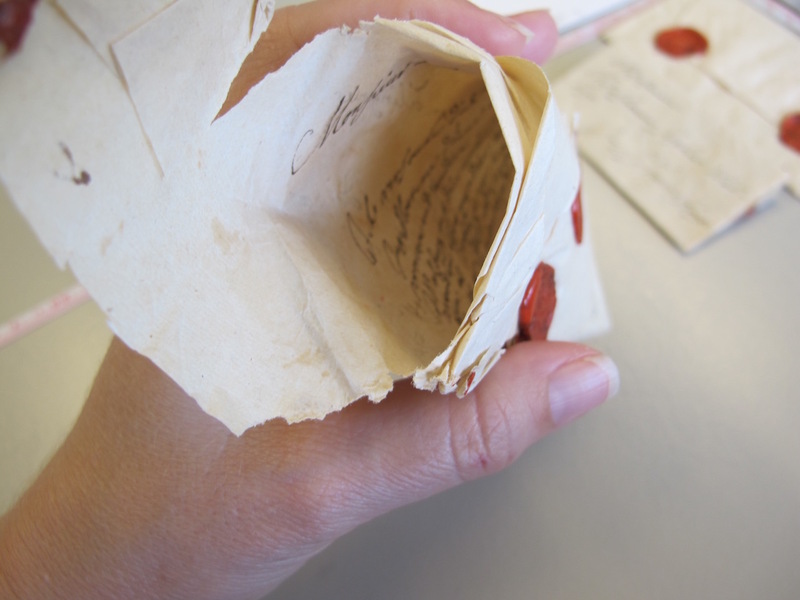 One of the huge challenges of the project is discovering what’s inside the 600 sealed letters without destroyed their closures. With the Apocalypto Project at Queen Mary, University of London, they’re using 3D x-ray tomography to scan the ink on the paper. Those seals and locking folds are also a focus, with Jana Dambrogio at MIT Libraries sharing letterlocking discoveries at her site, with demonstrations of the privacy and security paper locks at MIT TechTV. 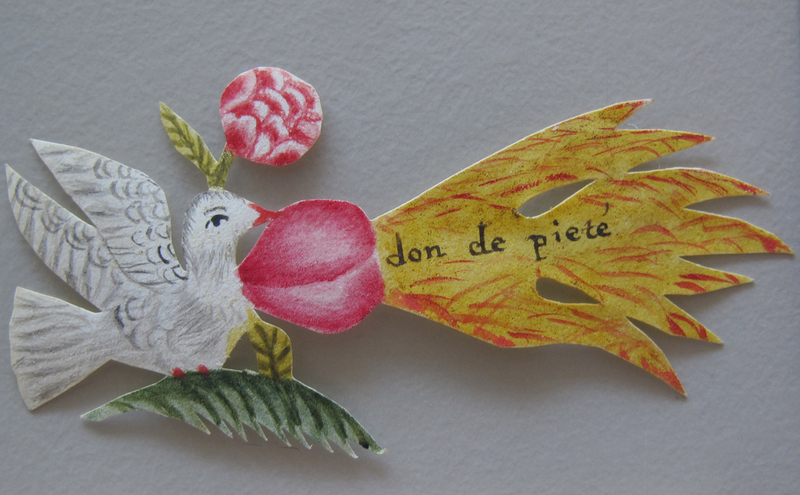 Researchers are also examining objects inserted into the letters, like a tiny painted dove or textile swatches, and working on conservation for those with burns and rips. Details of the letters are being shared online. Later, Signed, Sealed, & Undelivered plans to crowdsource transcription help for the messy, often phonetically-spelled writing on the antique paper. 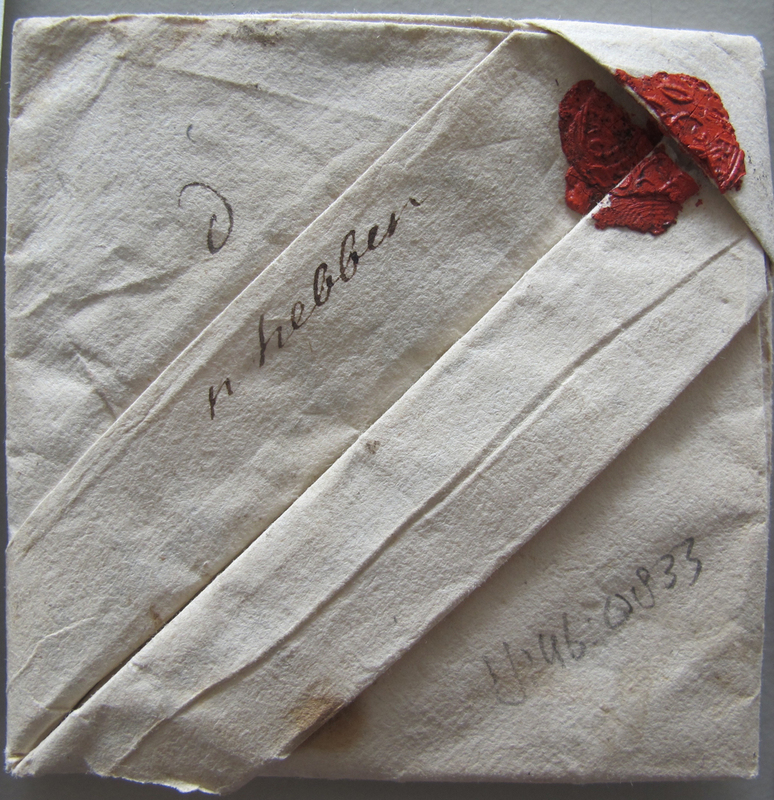 As for why the letters languished in the postmaster’s trunk, at the time recipients were required to pay for their letters, and someone like de Brienne would hold onto those undelivered with the prospect of a future payment. One appears to be a refused love letter but for others their reasons for rejection are unknown. Now centuries later, rediscovered secure in his trunk, they’re a window into the technology communications of the past, and the history of everyday life, unfiltered over time. Explored Signed, Sealed, & Undelivered online.